On one of our many days we spent walking the tree-lined streets of Mendoza in Argentina after our mountain climb we had plenty of time to continue to get to know our fellow team members and to share things about life. On one particular afternoon as we walked the streets, a fellow team-mate asked me a question out of the blue that had nothing in particular to do with what we had previously been talking about, nor did it have any major relevance to anything, it was just a random general knowledge question but it got me thinking about a character from a children’s book, one that I hadn’t thought about in years. I didn’t know but I searched through the files of my memory to see if anything would register. My brother and I had his books as young kids and I loved reading them. I know he was found at Paddington Station in London and he loved his marmalade sandwiches, which we probably all know but where did this little bear who loved his marmalade sandwiches actually come from? 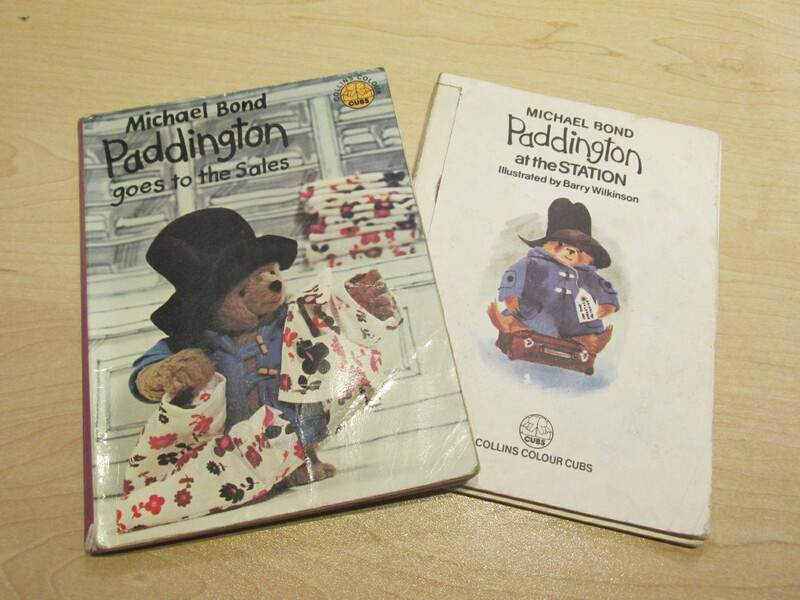 Two of my old Paddington Bear books I found at my parents house. A little bit worse for ware but mostly still in tact. As we continued to walk the streets of Mendoza, unable to come up with an answer to the question I was asked, I asked another team-mate walking near-by us but her answer was the same. I don’t know where he came from but I know he was found at Paddington Station. Now for those who don’t know who Paddington Bear is, he is the iconic British storybook character, who has comical misadventures which begin when he gets put on a train to London in search of a new home. Paddington Bear has a passion for all things British, but finds himself lost and alone at Paddington Station, and he begins to realise that city life is not all he had imagined – until he meets the kindly Brown family, who read the label around his neck (‘Please look after this bear. Thank you.’) and offered him a temporary haven. Paddington Bear is always polite, he works really hard and he never travels without his marmalade sandwiches! 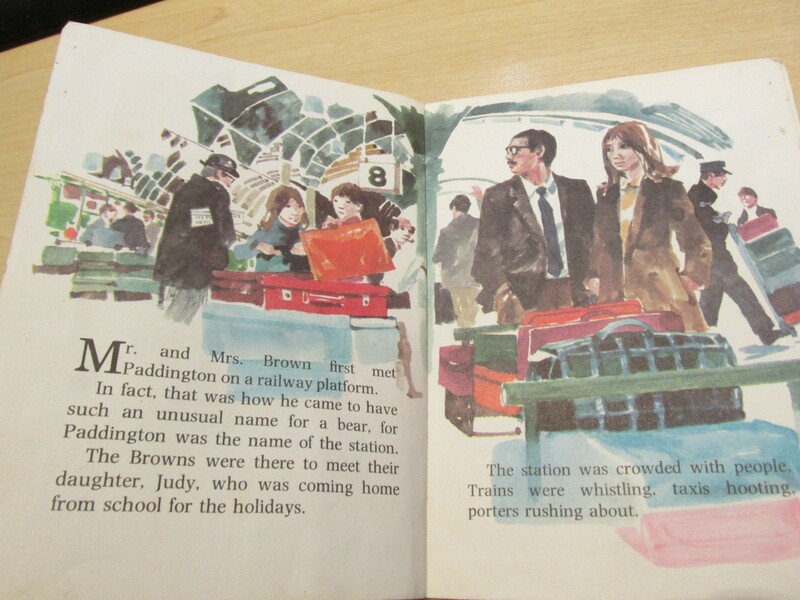 When Mr Brown first spots Paddington Bear in the station. 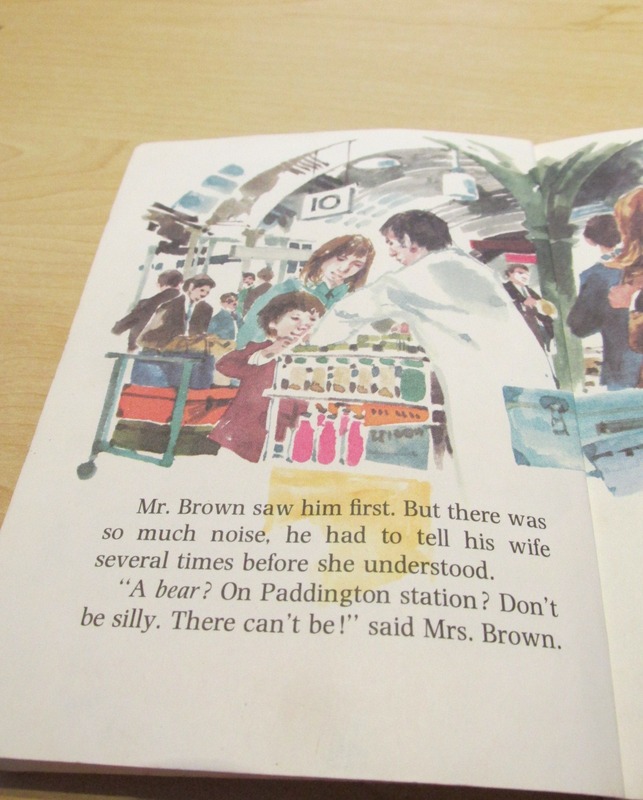 The moment Mr Brown tells his wife about the bear he’s spotted. Paddington Bear waiting for someone to “claim” him at the station. Michael Bond, the creator of Paddington Bear, based this cute little bear on a lone teddy bear which he noticed on a shelf in a London store near Paddington Station on Christmas Eve 1956, which he bought as a present for his wife. 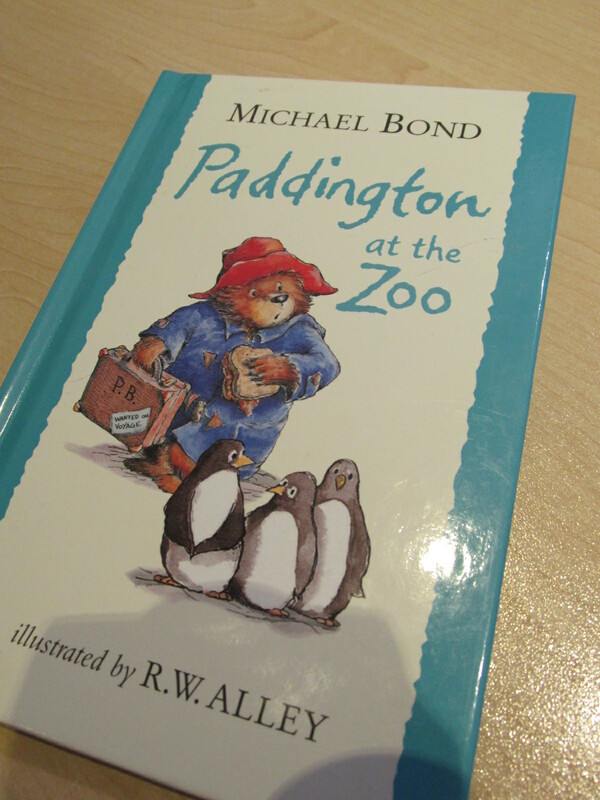 The bear inspired Bond to write a story, and in 10 days he had written the first book. Paddington arrives at the London Station from “Darkest Peru”, sent by his Aunt Lucy (one of his only known relatives aside from an Uncle Pastuzo who gave Paddington his hat) who has gone to live in the Home for Retired Bears in Lima. 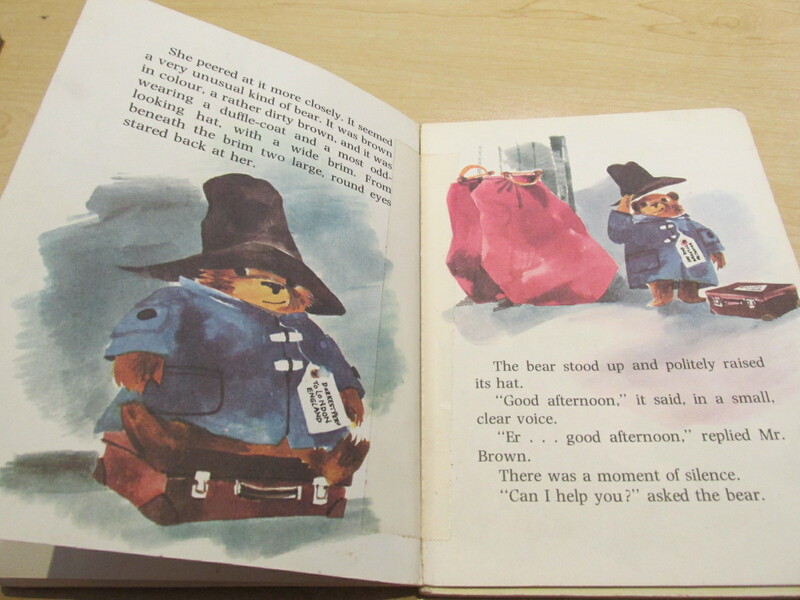 In my tattered book, Paddington claims, “I came all the way in a lifeboat, and ate marmalade. Bears like marmalade.” He goes on to tell the Browns that no one can understand his Peruvian name, so the Browns decide to call him Paddington after the railway station in which he was found. Paddington’s Peruvian name is ultimately revealed to be “Pastuso” (not to be confused with his “Uncle Pastuzo”). And would you believe, Michael Bond originally wanted Paddington to have “travelled all the way from darkest Africa”, but his agent advised him that there were no bears in darkest Africa, and thus it was amended to darkest Peru, home of the Spectacled Bear. I recall Paddington’s stories so well and even found some of our old books at my parents’ house, one rather tattered and missing the front cover, the other a bit moth-eaten and to my delight, I even found a new version of the book that one of us bought for my young nieces. 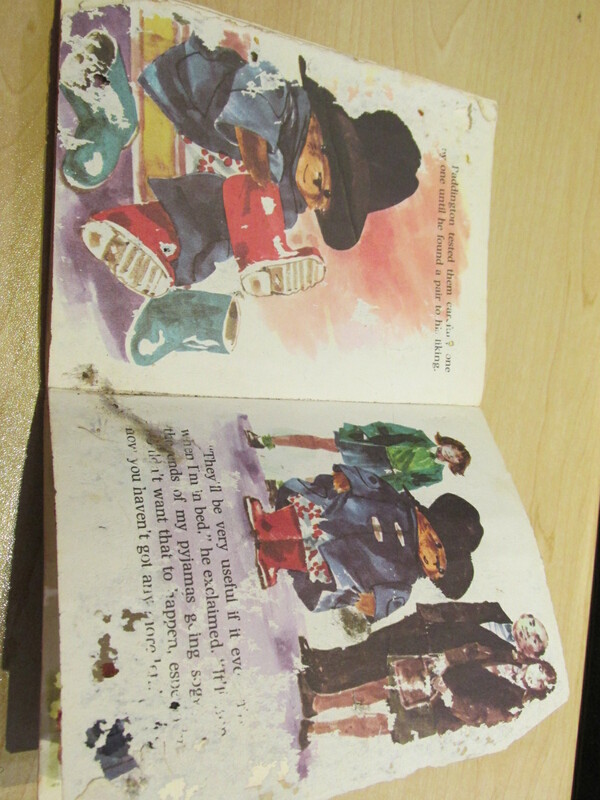 One of the old moth-eaten copies of Paddington Bear that I found. The newer version of Paddington Bear that belongs to my nieces. To add to my amusement of finding my old Paddington Bear books, the one that is really scruffy and missing the front cover and is held together with cello tape in many places, I discovered that the book is actually the original story of how Paddington Bear arrived in London and how the Brown family found him. Needless to say, I read all the books from cover to cover (it didn’t take long) and remembered with fondness how I used to read these books at kid. Even to this day I laugh at Paddington Bears unintentional talent for comical chaos and even now as an adult, I still want a pair of Wellington Boots and a coat just his like ~ some things just don’t go out of fashion! Previous Love Is All Around Next Life Without Regret ~ Happy ChooseDay!